All girls have dreams, regardless of where they live. “Can you do big things from such a small place?”, she asks her mother Harriet. Her mother – who was once a young girl with big dreams herself – responds by telling her not to think about such things, as she will only be disappointed. Like many mothers raising children living in poor communities, Harriet knew too well the obstacles Phiona would have to face without an education. Girls supported by Canadian Feed The Children’s donors all have hope for their future like Phiona – and many of their mothers have the same fear as Harriet. And that is why empowering girls is so important – because when we do so we help make sure that they can follow their dreams regardless of where they live in the world. Girls face barriers. We can help them overcome them. Growing up in a poor community and being raised by a single mother meant that Phiona faced many barriers to achieving her full potential. Her mother Harriet could not afford to send her to school and instead Phiona had to help sell maize in the streets so her family could survive. Phiona’s situation – as a girl entering her teens and growing up in poverty – made her particularly vulnerable to child marriage, as it does so many other girls in Africa and around the world. In Uganda, nearly half of all girls under the age of 18 are married – and this number rises for girls who are raised in poor communities. Child marriage has far-reaching effects: young brides are more likely to be burdened with higher rates of HIV, domestic violence, sexual abuse and death by childbirth. 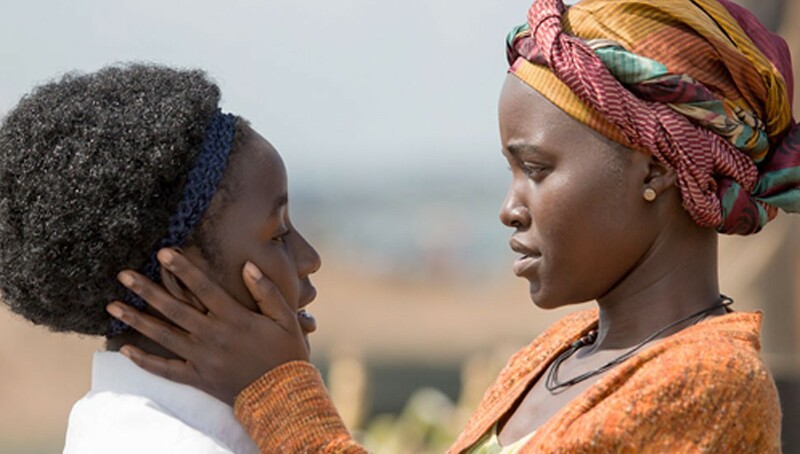 Girls all over the world living in poor communities are faced with many of the same barriers as Phiona, but as we learned in Queen of Katwe, it only takes one special person to help them overcome them. 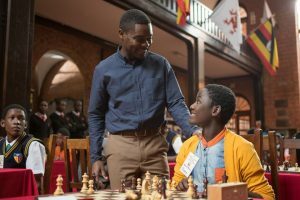 For Phiona, Robert Katende (a local chess teacher) was that special person. He believed in her potential and gave her the opportunity to learn how to play chess. 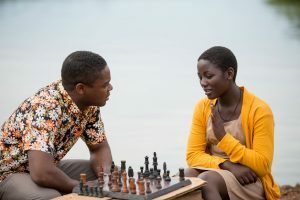 Because of Robert’s belief in Phiona, she was able to use her skills in chess to change her and her mother’s life as she went on to become a world chess player. Like Robert, you have the power to be that special person to another girl facing the same barriers as Phiona. Each day, Canadian Feed The Children’s donors help girls like Phiona achieve their full potential and chase after their dreams. When girls are given an education, the whole world changes. If all women had primary education there would be 15 per cent fewer child deaths, and if all women had a secondary education, 1.7 million children would be saved from stunting from malnutrition. Girls with higher levels of education are less likely to have children at an early age, and are less likely to be married young. Education for girls also means that they can escape a life of poverty, pursue a career they are passionate about, support themselves and their family, keep their children in school and become leaders in their communities. When you support Canadian Feed The Children, you help make sure girls have safe schools to attend, trained teachers in their classrooms, educated communities who know the dangers of child marriage, access to latrines and families who are supported – so they can overcome the barriers that so often lead to giving up on their dreams. Together we can help girls like Phiona escape a life of poverty and “do big things” in their communities, countries, and the world.